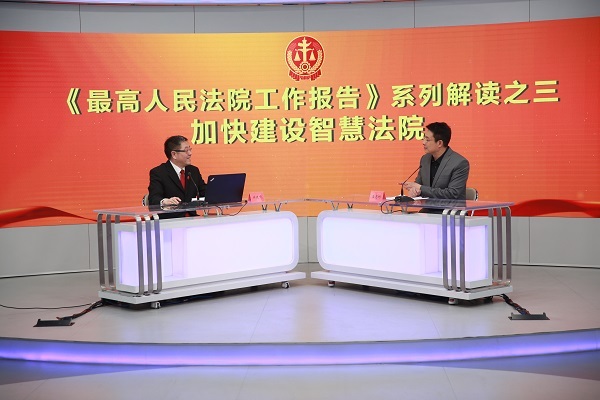 The Supreme People’s Court (SPC) gave a multimedia interview on March 13, highlighting the achievements of smart court construction in the country based on the latest SPC work report. 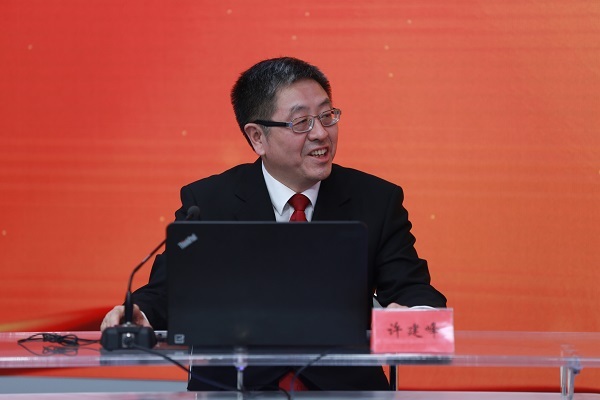 Hosted by Cui Zhigang, an anchor of CCTV, China’s state broadcaster, the interview took place at the multimedia press hall of the SPC in Beijing. Xu Jianfeng, director of the information center of the SPC, joined the interview.